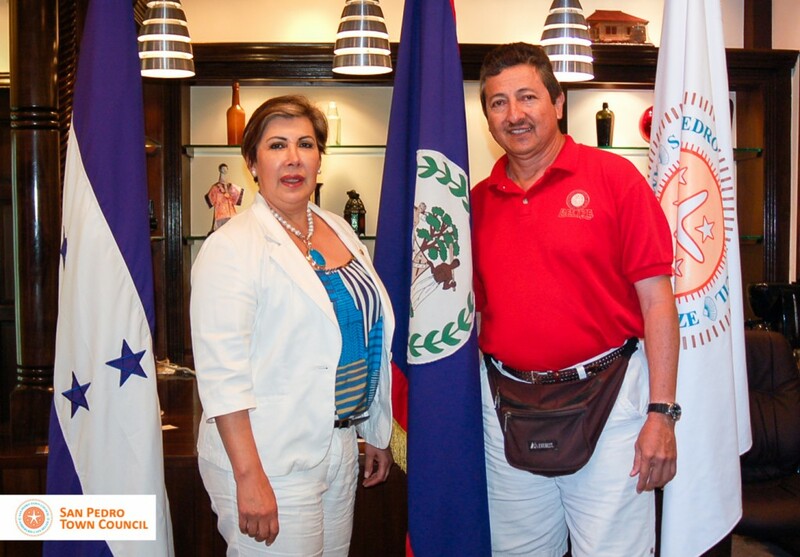 On Friday, March 7th the San Pedro Town Council received a visit from Her Excellency Sandra Rosales Abella, Ambassador of the Republic of Honduras and Carlos Villanueva Medina, Minister Counselor of the Republic of Honduras. The purpose of the visit was to discuss the proposal of a Sister City Relationship between San Pedro Town and Roatan, Honduras. 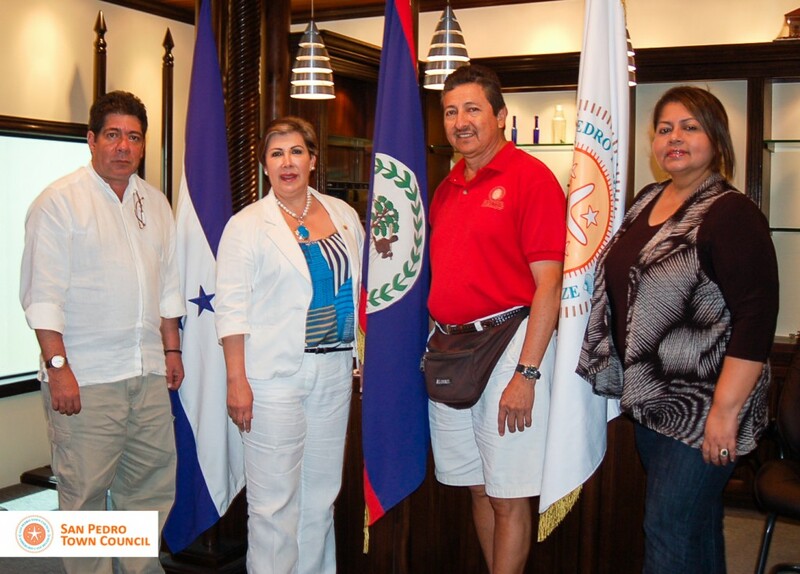 San Pedro Town has always had good relationships with its neighboring countries, so much that on October 26, 2013 the City of Chetumal renewed its Sister City Relationship with San Pedro Town. The aim of such relationships is to strengthen exchanges in the cultural, academic, tourism, economic and health sectors in both municipalities. With the recent addition of Tropic Air’s direct flight to Roatan, a sister city relationship can be very beneficial to both parties. No official date was set to sign the Sister City Relationship, but it was evident that both municipalities are interested in forming such relationship.